While most mainstream cruise vacations aren’t technically all-inclusive, cruises do offer a wide variety of amenities included in the fare. Here’s a list of nine things that are included on mainstream cruise ships. 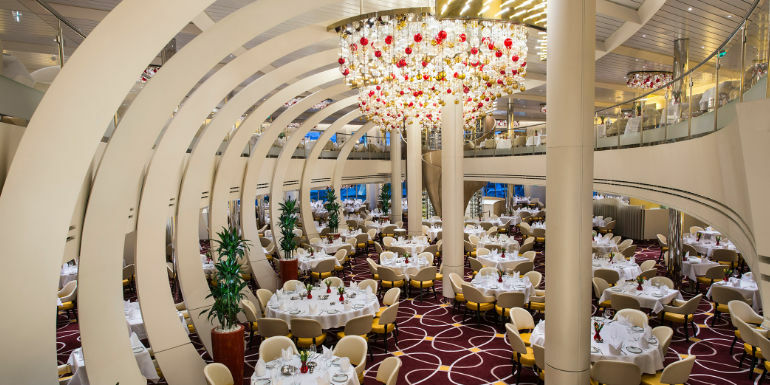 The main dining room has been a staple of cruising for as long as we can remember, and will most likely always remain a part of your cruise fare. It’s great to know that for every dinner (and some breakfasts and lunches), you can always step into an elegant main dining room for a tasty array of dishes and attentive service. On larger ships, you’ll even have more than one included main dining room to choose from. 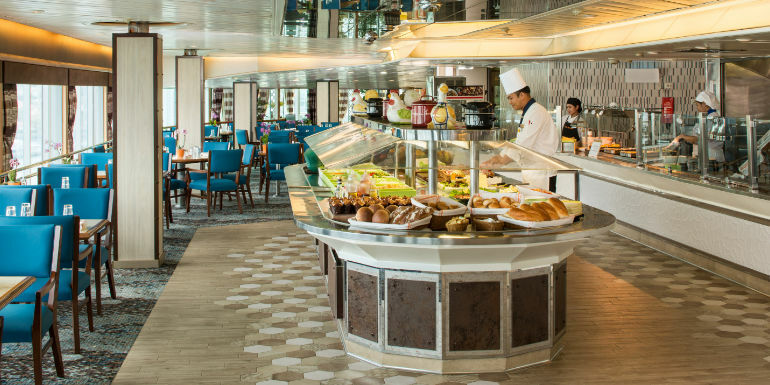 The ship’s buffet is the perfect place to stop in for a quick and casual breakfast, lunch, or dinner. You’ll find a variety of options here, including sliced meats, sandwiches, salad, pasta, stir-fry, international dishes, and plenty of fruit, breads, and desserts. It’s like being in New York without the impatient crowds and hefty Broadway price tag. Many mainstream cruise lines are taking their entertainment as seriously as ever these days, and the shows are highly technologically advanced and extremely immersive. Some notable productions include Mamma Mia! and Grease on Royal Caribbean, Frozen - A Musical Spectacular on Disney Wonder, Burn the Floor on Norwegian Cruise Line, and Epic Rock on Carnival. While some of these shows will require reservations to save your spot, they are still completely free. We don’t know of a mainstream cruise line that does not offer complimentary pizza on their ships - often at all hours of the day and night. Generally (but not always) located in the vicinity of the Lido Deck buffet, the pizza is handmade, simple, and delicious. 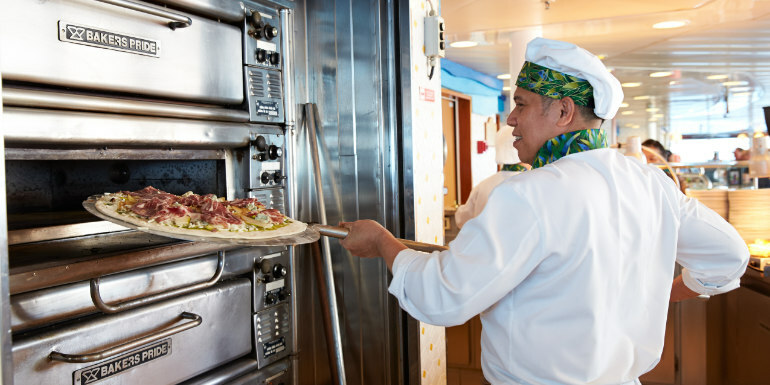 Princess Cruises, MSC Cruises, and Royal Caribbean are often noted for having some of the best pizza at sea. Be sure to grab a slice… or three! Lace up your sneakers and get ready for some epic sea views. 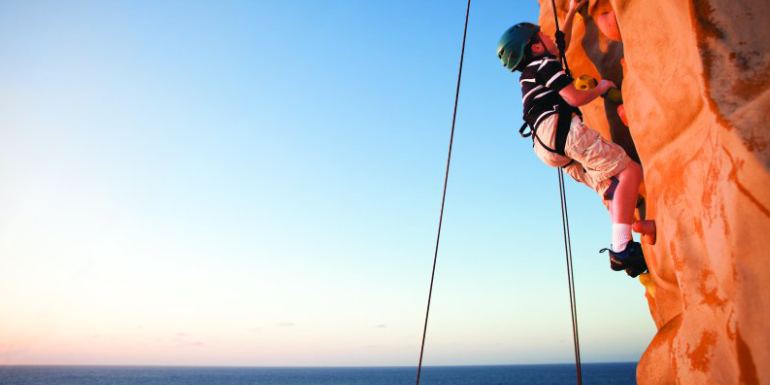 Both Royal Caribbean and Norwegian Cruise Line have ships with a rock-climbing wall, and it’s an excellent activity to do in the middle of the ocean. You may have gone rock-climbing on land, but that won’t compare to climbing high with nothing but water as far as the eye can see. 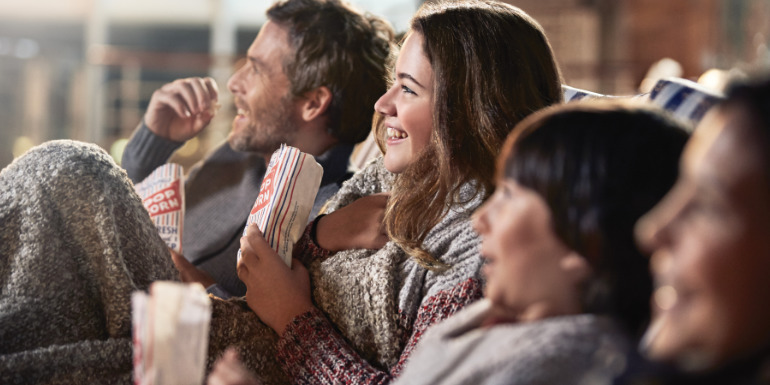 There’s nothing like curling up on a lounger under a cozy blanket to watch a movie under the stars. 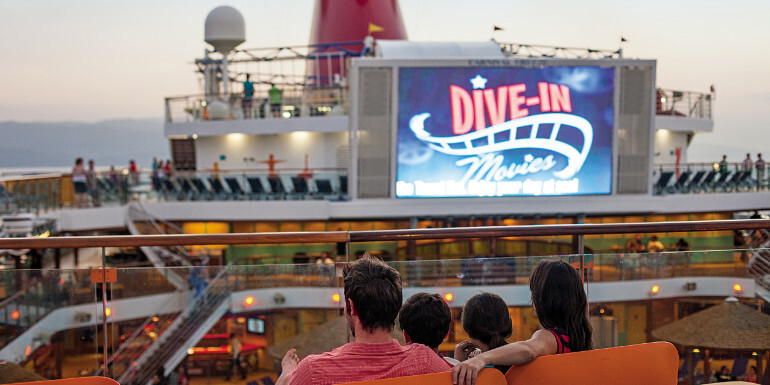 Many ships in the Carnival, Princess and MSC fleets have a big screen above the pool with recent blockbusters and some classic movies screening day and night. As a bonus, there’s usually popcorn involved (and Princess Cruises even has milk and cookies). 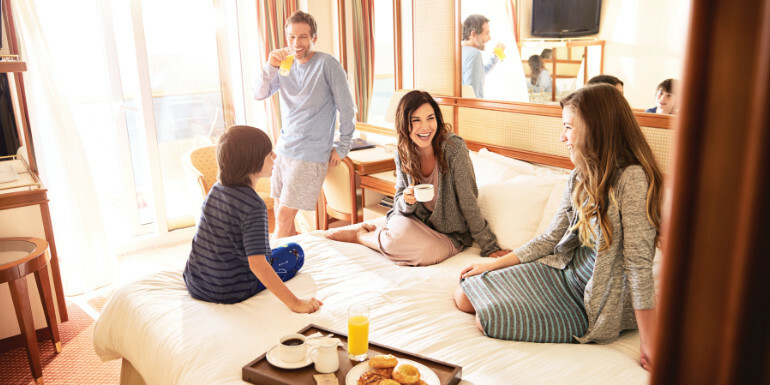 While unfortunately some lines are moving towards charging a fee for room service (a flat-rate charge no matter what you order or offering an a la carte menu), continental breakfast continues to be included in the price of your voyage. All you have to do is fill out what you want and place the hanger on your door the night before. In the morning, your breakfast will arrive at the time you designated. This service is especially great for early port days. 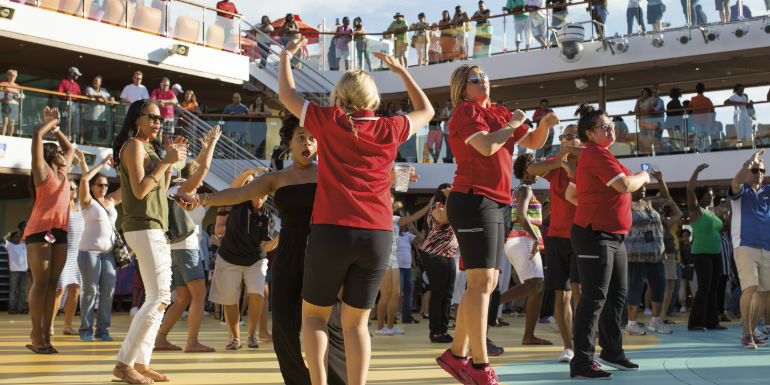 There ain’t no party like a cruise ship party! Sail away, white night, and other themed parties abound on most major cruise lines. You’ll find music, dancing, participation activities, contests, and even special bites during these festive affairs, where everyone is encouraged to join in the fun. Take advantage of these celebrations whenever you can; after all, you’re on vacation. Laughter is the best medicine, right? Go get a huge dose at your ship’s comedy club, where the jokes keep rolling. 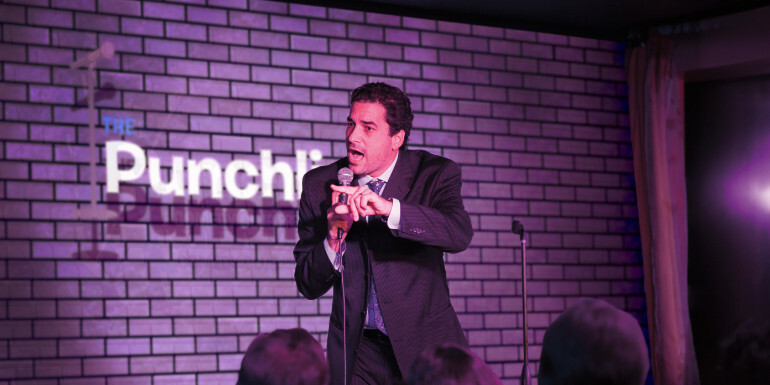 There are usually both family-friendly shows and adults-only stand-up with a variety of comedians, so everyone will find a performer that tickles their funny bone. What's your favorite complimentary cruise ship feature?